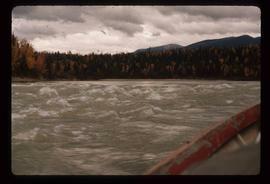 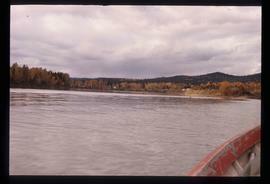 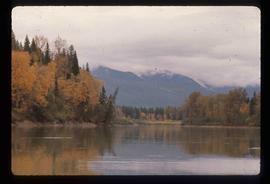 Photograph depicts sternwheeler passing through rapids of the Fraser River, B.C. 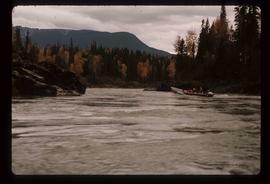 Printed annotation on recto reads: “The B.C. 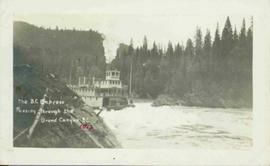 Express Passing through the Grand Canyon B.C.”, handwritten in red ink: “1913”. 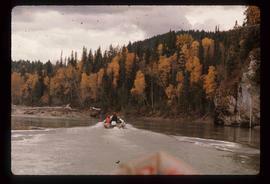 Image depicts a group of people in boats on the Fraser River in the Grand Canyon, B.C. 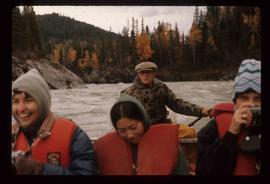 Image depicts a group of people in boats, with Ray Meuller steering one of them, on the Fraser River in the Grand Canyon, B.C. 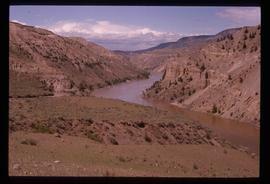 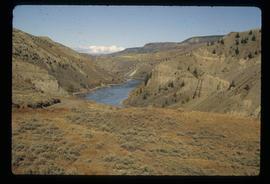 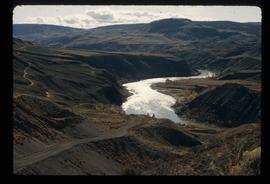 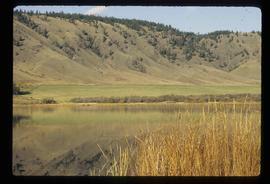 Image depicts a view of the ridge above the Fraser River which forms the Grand Canyon, B.C. 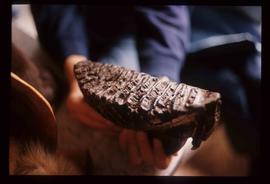 Image depicts a fossilised mammoth tooth. 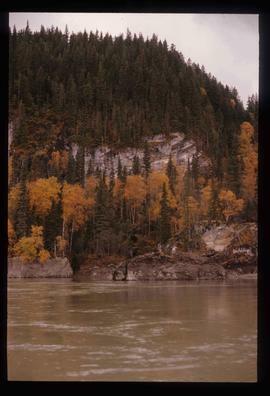 Image depicts the Fraser River in the upper Fraser Canyon. 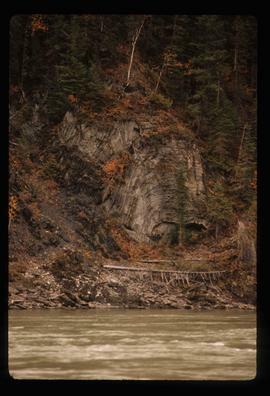 Image depicts the Fraser River in the Fraser Canyon. 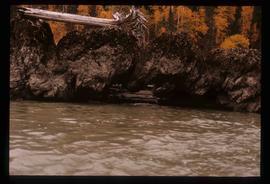 Image depicts a beaver dam on the Fraser River in the Grand Canyon, B.C. 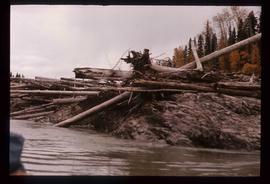 Image depicts numerous logs piled up on rocks in the Fraser River; it is possibly either the beginning of, or leftover from, a Beaver Dam. 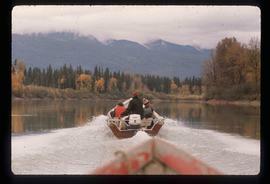 Image depicts three unknown individuals in a boat on the Fraser River; the man steering the boat is Ray Meuller. 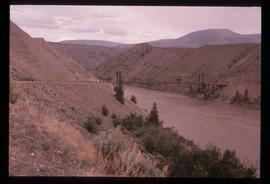 Image depicts a bridge over the Fraser River in the Upper Fraser Canyon; possibly near Gang Ranch. 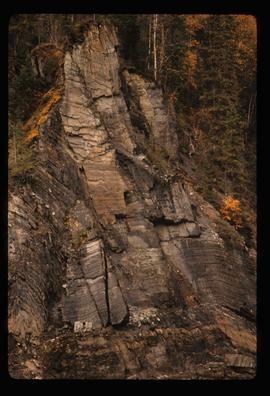 Image depicts a cliff side on the bank of the Fraser River in the Grand Canyon, B.C. 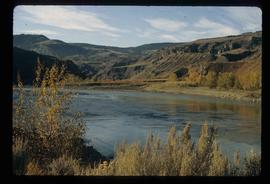 Image depicts the Fraser River near Gang Ranch in the Upper Fraser Canyon. 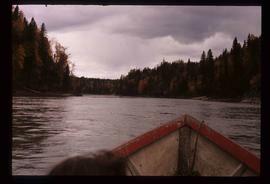 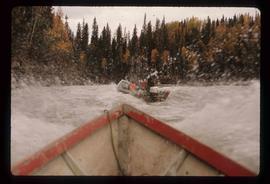 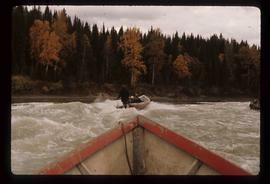 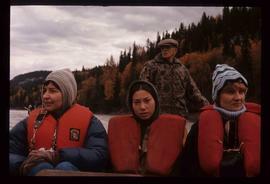 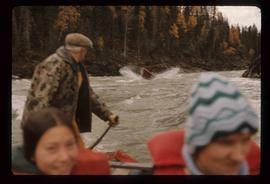 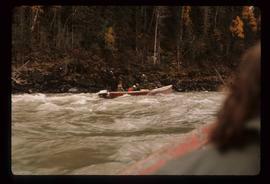 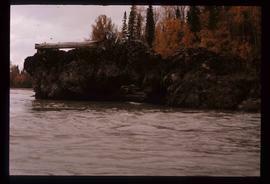 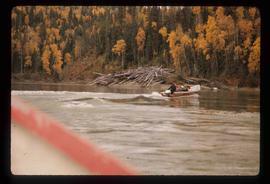 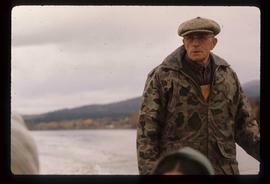 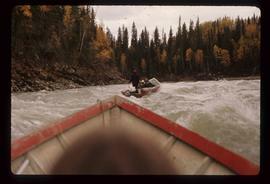 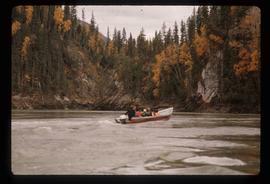 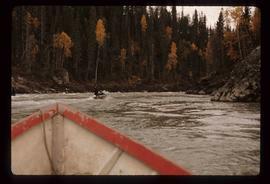 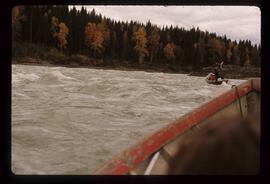 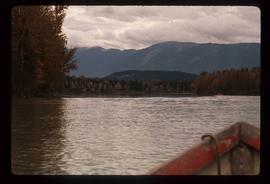 Image depicts Ray Meuller steering a boat on the Fraser River in the Grand Canyon, B.C. 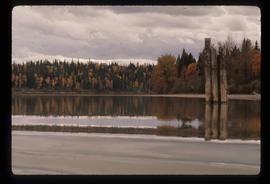 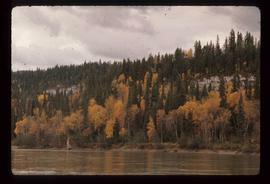 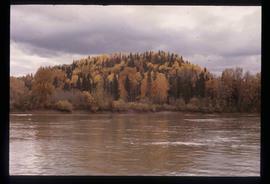 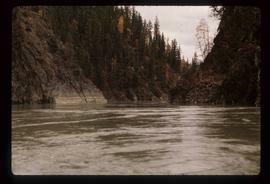 Image depicts the bank of the Fraser River in the Grand Canyon, B.C. 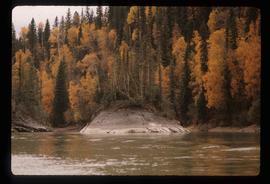 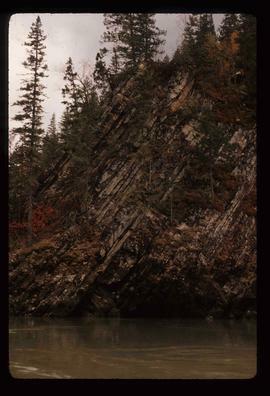 Image depicts a rocky section of the bank of the Fraser River in the Grand Canyon, B.C. 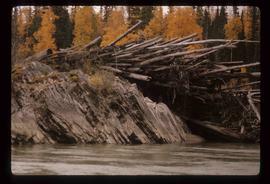 Image depicts a formation of rocks in the Fraser River, with a dead tree stuck on top of them. 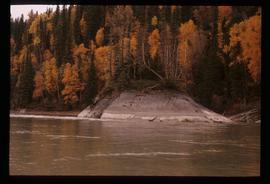 Image depicts a very small island in the middle of the Fraser River in the Grand Canyon, B.C. 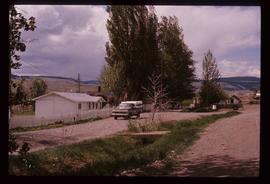 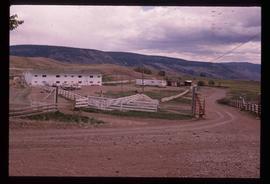 Image depicts Gang Ranch in the Upper Fraser Canyon. 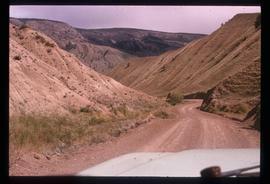 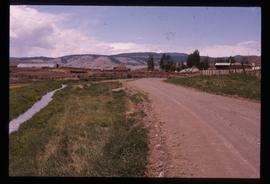 Image depicts a road near or on Gang Ranch in the Upper Fraser Canyon. 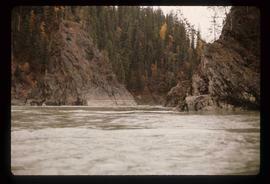 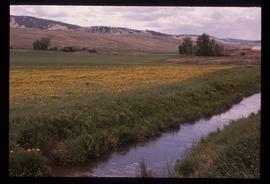 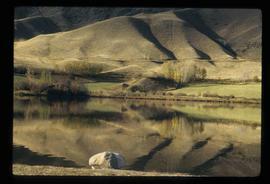 Image depicts a stream and field at Gang Ranch in the Upper Fraser Canyon. 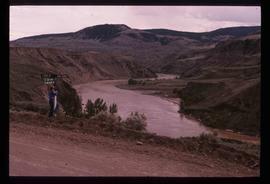 Image depicts the Fraser River, and a sign pointing towards Gang Ranch with an unknown individual hugging it, in the Upper Fraser Canyon.